Oversoul is a free online PVP Battle Card MMO that plays right inside your browser! Collect cards by battling over 190 monsters and other players in turn-based combat. Cut the deck and hit’em hard in high-score leaderboard tournaments... because the most important game to play when your luck runs high is the one where you possess all the cards! Are you excited? I know we are! We have some more details for you to anticipate! Customization Cards will have a star rating system. What does this mean? It means 2 of the same type of card can have different percentages of power! Ofcourse, the better the rating the more rare the chance of getting it will be! This will further the variety of cards you have access to. Oh yes, things are getting deep with this system. Also, look for 2 completely new card specials in the Ice Deck Series tomorrow! 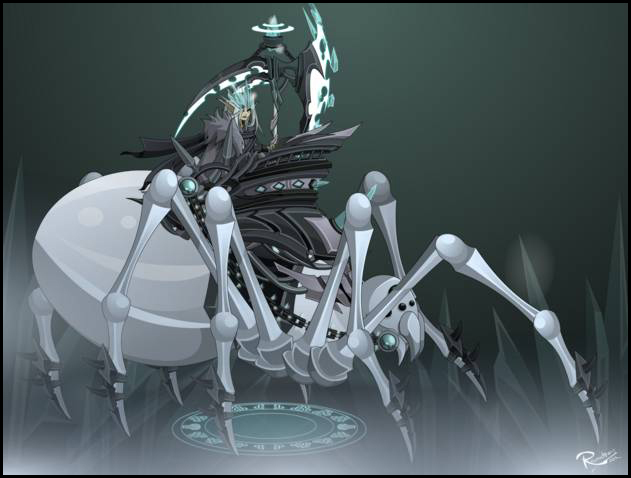 As some of you know Revontheus has entered a Photo contest and needs your likes so he can win the prize! Please support your fovorite Oversoul Artist Rev! Revontheus has worked on and contributed his pro work to Oversoul for over a year now because he believes in it's success! Let us repay him for his awesome art! Currently, he's in 2nd place. Lets launch him to 1st! Let's show our Gratitude! 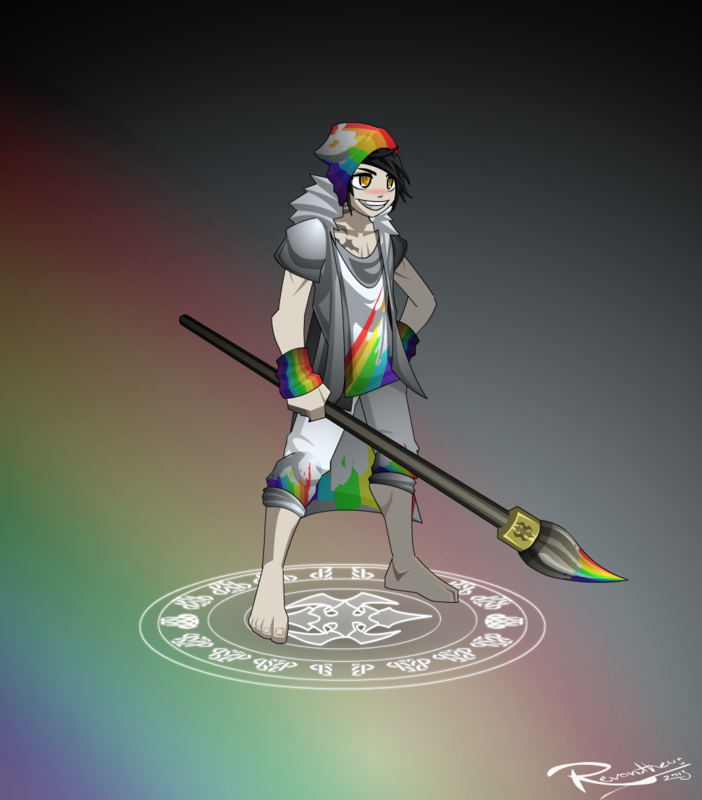 If he wins Rev will give the character Rainbowtheus shown below to all players for FREE! Just wanted to clarify about the upcoming cards releasing with Card Customization. There has been a major mix up on terminology of the upcoming cards, there will be 1 series releasing this Friday not 10. Card Series: Cards will be released in what is called a Series. Each Series will consist of up to 12 cards. Card Packs: You'll be able to purchase cards 5 at a time from these Card Series. Each time you purchase from the Card Series you will randomly be given 5 cards from the series. Themed Series: The card series will have themes. This Friday's theme will be the Ice Series. More Card Series will be released once we know Card Customization is stable! Card Customization Coming this Friday! You heard correct! It's coming this friday! I've tested it out and it will change the way you play Oversoul completely! High Queen of Frost Coming Soon! Finally, the characters you have all been waiting for are set for release in the coming weeks. The High Queen of Frost's apprentice, Veteran and Master will be released this Friday! 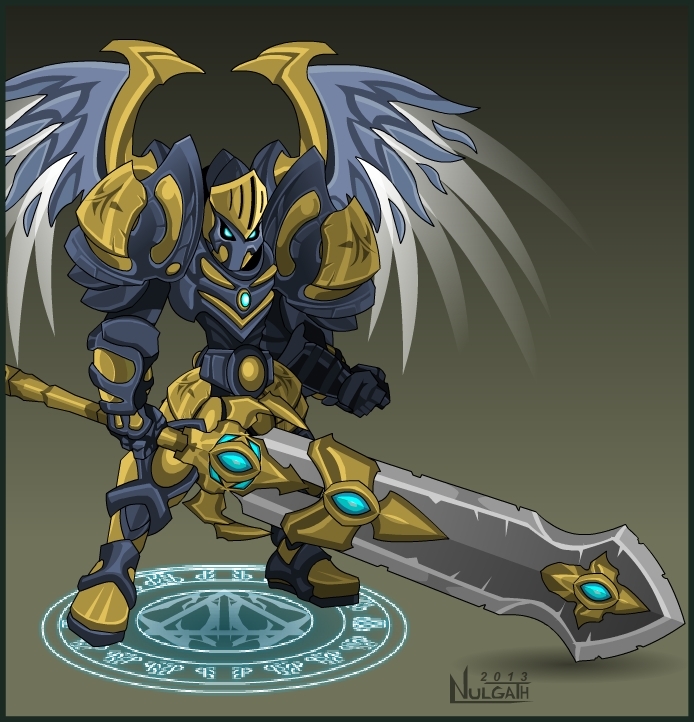 If I can find time, the Legendary form below will be released this week too. If not, it'll definitely release next week! So much to Epic to do! Cosoma Master Coming this Friday! Cosoma will be getting a new rank this Friday! 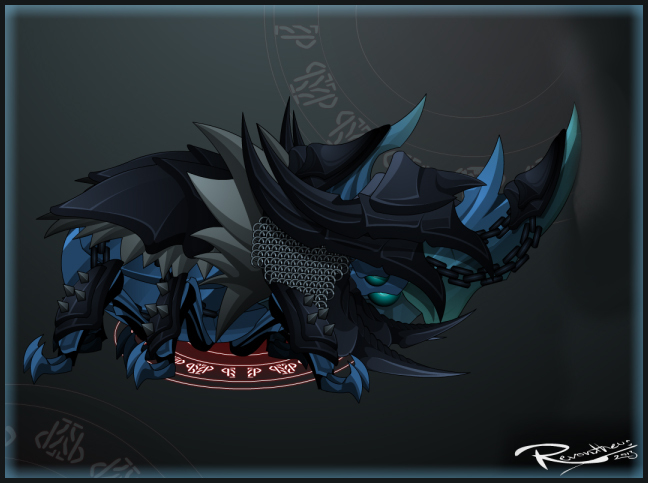 Be sure to capture this elusive beast so you can turn it into the upgraded version by Rev: Cosoma Titan! 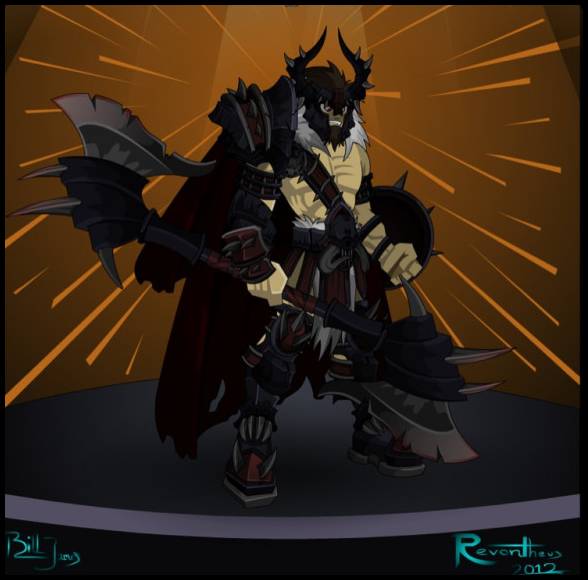 Remember this barbarian made by Revontheus last year? He's now available in Oversoul! Capture the Trainee and Rank him up to Tharr the Barbarian! Blood Ranger & Arcane Ranger in Game! Have you found your Rangers yet? Two different flavors to pick from who both pack some serious POWER! Be sure to grab them both now in Oversoul! Blood Ranger: An offensive powerhouse! She may not have much defense but she makes up for in direct damage and damage over time! Keep your enemy on the defense with this Ranger! Arcane Ranger: The first character to mix both Neutral and Storm Elements! Hit your enemies with a barrage of arrows as well as bolts of lightning from the sky! TWELVE New Epic Characters are LIVE! 12 of some of the most powerful and sought after characters I'd been saving have been released! Some are capturable on the Overworld map and Nightmare Dungeon and some are Rankups! Be sure to also talk to Malakai in the Town Lobby to get some of your New Epic Characters! Next week Card Customization! *crosses finger. Interface and card art is ready. Just need the programming to get done. Below are the user interface mockups! 12 Epic Characters Releasing Tomorrow! Yes that's right TWELVE NEW characters are set to go LIVE this Friday. The Templar is one of the 12 you'll have available! Are you ready to Smash Evil into Dust? With the Templar you will be! 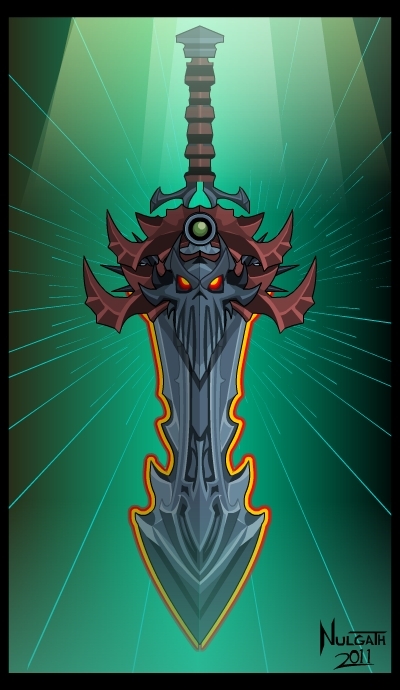 Blade of Nulgath Coming this Friday! Remember this guy from a couple years ago? It will be yours for the taking in Oversoul this Friday! I'm not saving anything anymore! It's going to be all epicness from this point on! The characters you've been waiting on are coming! Card customization should be ready next week. The UI is almost done. Will post screenshots later. Stay tuned! Dire Monk Coming this Friday! The Shaolin Monk will be getting this Dire Monk as his Rank Up this Friday! Do you have the Shaolin Monk yet? "There cannot be light without the shadow." 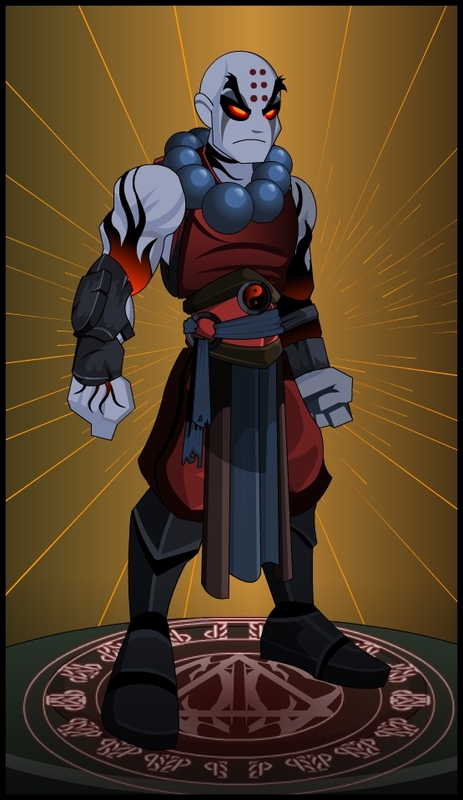 The Dire Monk will be Neutral and take on some the attributes of Shadow to imbue his Powers. Many other characters also coming this FRIDAY! 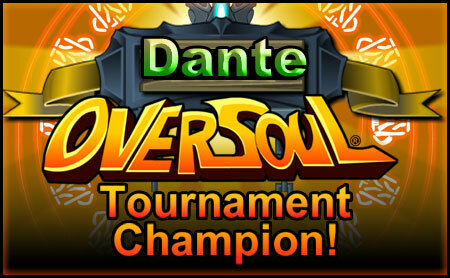 Oversoul's First Tournament has Ended and the results are in! Dante, is our Winner! He will have his statue and name put into the Oversoul Lobby and the Top 100 will be put onto our wall of Champions! You all fought well and in the process shined a light on many things for us to improve! Everyone that participated in the tournament will be receiving a small reward! Stay Tuned for details! Enter our 1st ever Tournament! Winner gets a statue of their character in town. Top 100 players get immortalized on the wall of champions. The slaughterfest begins today Friday, April 19th @ 4pm EST and the carnage ends on Sunday, April 21st at 8pm EST. Think you have what it takes to be in the top 100? Or do you just want to hunt the players on the top 100 list to slow them down and ruin their winning streak? This tournament is open to ALL players. To compete, simply battle random players using the “BATTLE: Player” button. You know, the big red shiny one at the bottom of the screen. Every win will bring you closer to the ultimate 1st place price…. And if you do achieve 1st place on the leader board at the end of the tournament a statue of you constructed in the main town! “Disconnects” are being tracked. High numbers of disconnects from battles will cause players to be disqualified. Couple more UI updates releasing tomorrow! 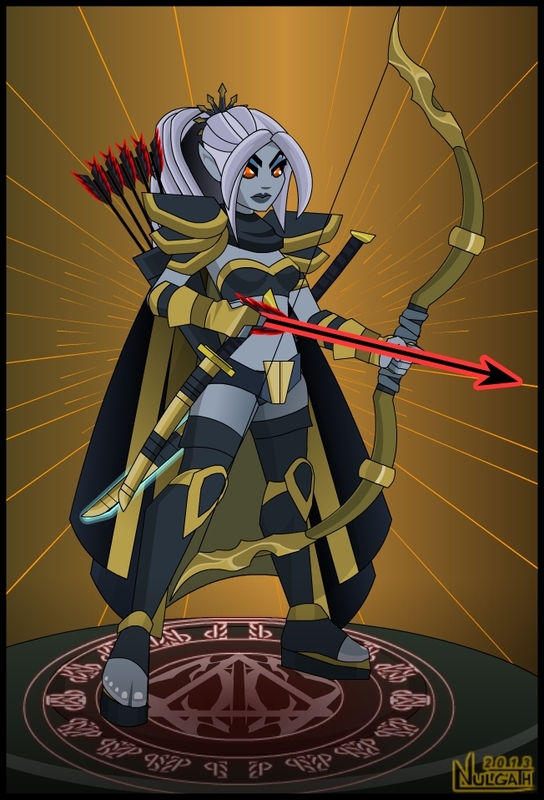 It has been a busy week for bug fixes in oversoul! The bug causing empty hands in battle has been isolated and fixed. Iron Hide and Cat Reflex now play together nicely. now lets go of your mouse when you are finished scrolling. players a safe place to learn how to play. Duels no longer count on the leader board. Added functionality to improve PVP matchmaking, first improvements: Players will only fight characters within 10 levels of theirs (should dramatically improve low level PVP enjoyment). Underpinnings of customizable card decks implemented but not ready for release. Here's the first phase of out Beta Revolution! New more stable game engine. Just a quick update on the progress of the whole redesign of Oversoul. The engine is coming along great! Less bugs, better performance. Rolith is chugging along on card customization! I've been busy with the new graphic through out the game! It's been a lot of work but inspiring work. I'm leveling up! Will post more updates as they things are completed! Stay tuned! 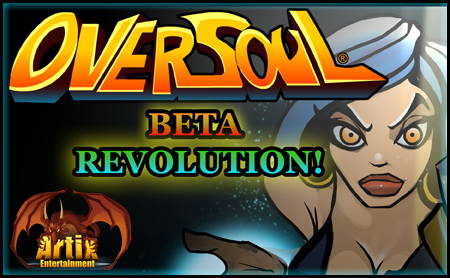 As you know we are taking Oversoul to the next level! 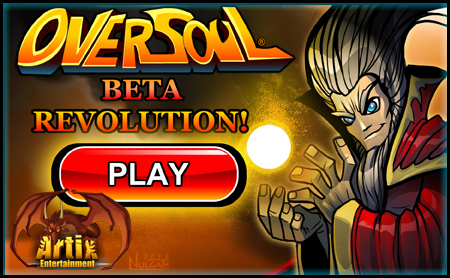 This time, instead of leaving you in the dark, we are going to keep you informed along our whole journey of taking Oversoul through this evolution! Instead of painting ourselves in a corner of not pregressing the actual gameplay because we're too busy creating small releases each week, we've decided to hone in on devloping the key game features of OS that will make it the complete game I set out to make. If Oversoul was a car you wanted to improve, you would start by working on the engine, making it faster, stronger and better. You wouldn't just give it a fresh coat of paint and say it's done because it looks shiny on the outside. I feel like that's what we've been doing without knowing it. Making the outside of the car look nice while the engine was riddled with problems. This is the key factor right now. As you saw last week, the art I created for the new user interfaces are done but the functionality of those interfaces are not. Warlic is working on the new and improved OS game engine. Although, this will fix a lot of current problems with battle, as to be expected, the new engine does not mesh well with other parts of the game. Those other parts are used to the old buggy battle engine. This is the domino effect of coding one way then going back and changing something so key to the game. This has to be fixed or we are simply replacing one set of problems with another. In ending we have a lot left to do. Although it was planned that the new interfaces would be ready this Friday, it will be pushed to next friday. Just to give you an idea what our programmer Warlic has to work on, he presented me with his fix list. If you didn't feel a part of the development of OS, now you will! Enjoy! 1.1.1 3) Counter, Cat Reflexes and Iron Hide icons not displaying in upper left/right corner when used. cards that can do different things. modifier text appears on the card. 1) Multiple Discards - cards that require more than one Discard. system. This should go quickly once I get around to it.